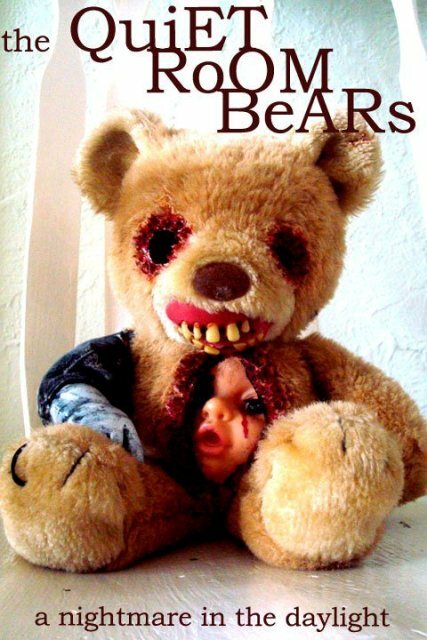 Terrible Teddy’s! 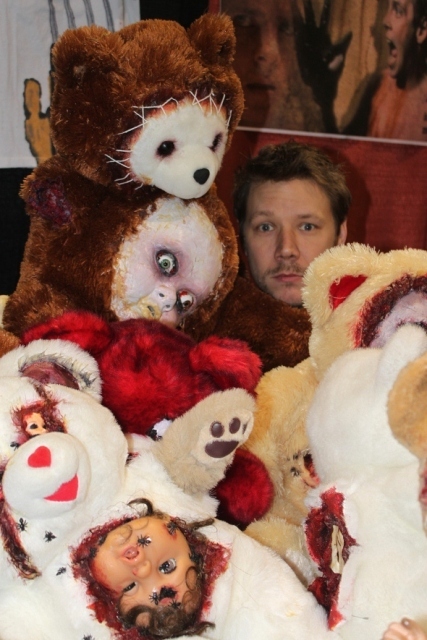 Lee Howard’s “Quiet Room Bears” a Screaming Sensation! 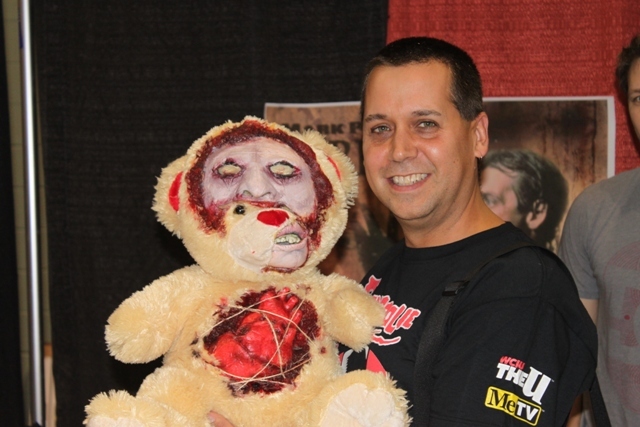 As mentioned in our first ROCK N SHOCK story, the best items for sale in the dealer’s room this year were custom made. Of all these wonderful creations, none showed the shear genius and warped creativity of QuiET RoOM BeARs! 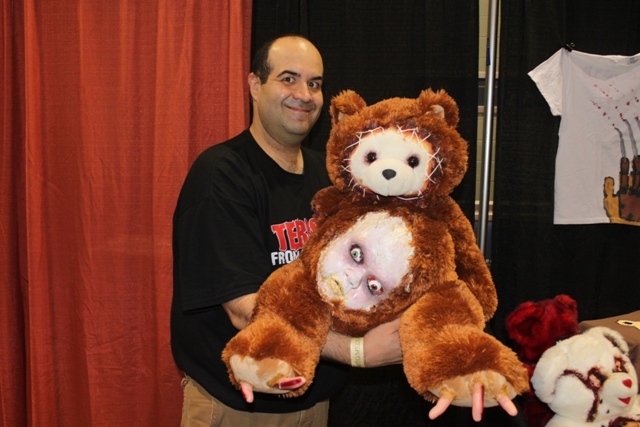 Children afraid of the dark or the monster in their closets will have to seek alternative forms of comfort aside from clutching their Teddy Bears so far as Lee Howard is concerned. 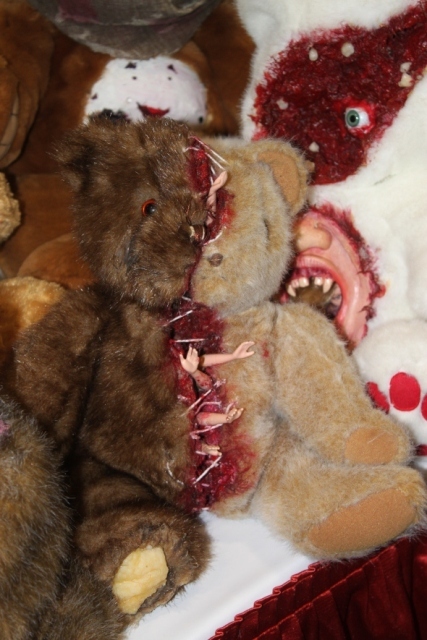 The Canadian artist not only came up with his own line of horror Teddy Bears, he’s managed to make each and every one completely unique and individually numbered…. David Albaugh with Session #26! Lee Howard with Session #15! Session #23….SOLD at Rock N Shock! 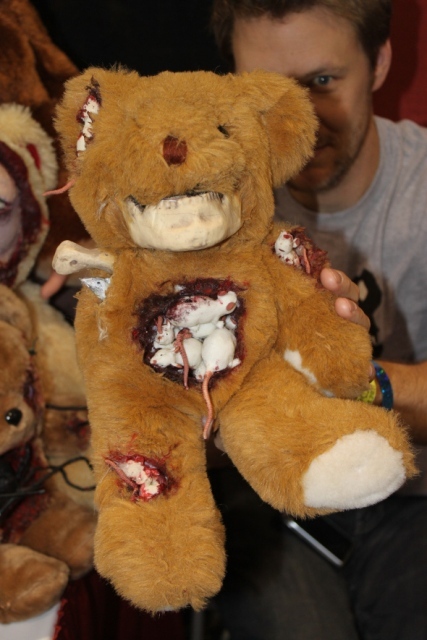 Be sure to “Like” the official QuiET RoOM BeARs Facebook page which you can access HERE! 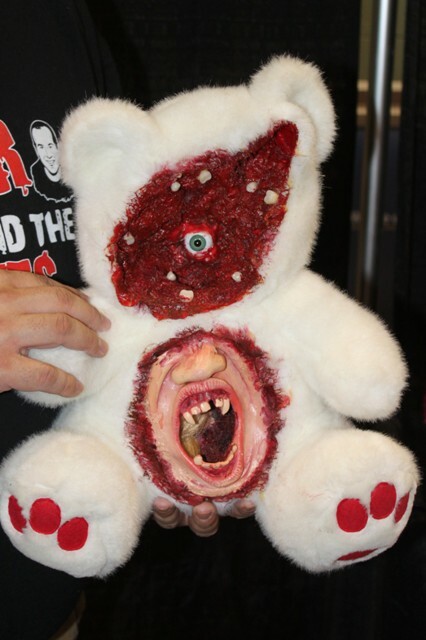 To order your own UNIQUE bear, click on the picture below! This entry was posted in Masks, Models, & Props! and tagged LEE HOWARD, QUIET ROOM BEARS, Rock & Shock. Bookmark the permalink. ← Meeting Svengoolie at Ultra Foods is at the Top of Every Horror Host Fans Shopping List!